The Trucking Industry Defense Association Retains Mills & Associates To Ask The Nevada Supreme Court To Rehear Its Decision Granting A “True Conversion” Exception To State Law Preemption Under The Carmack Amendment. You are here: Home / Cargo Claims / The Trucking Industry Defense Association Retains Mills & Associates To Ask The Nevada Supreme Court To Rehear Its Decision Granting A “True Conversion” Exception To State Law Preemption Under The Carmack Amendment. Trevor Small bought a car in Las Vegas. He arranged with a transportation broker to ship the car to Washington. The motor carrier that won the bid was Knight Company. Ultimately Knight picked up the car even though Knight had never signed and returned the broker’s work order as it was supposed to do. Knight did however issue a bill of lading. Knight was late delivering the car. Small learned that the broker had not paid Knight for earlier shipments. In the complaint, Plaintiff alleged that Knight was withholding delivery of the car in order to coerce the broker to pay Knights overdue invoices. The trial court refused to acknowledge and apply the principal of state law preemption available under the Carmack Amendment. Because, according to the trial court, there was no preemption, Small’s state law claims of conversion and fraud went forward resulting in a judgment against Knight including $52,500 in compensatory damages and an additional $300,000 in punitive damages. Knight Company appealed the decision. Calling this a “true conversion”, the Nevada Supreme Court upheld the trial court’s finding that there was no state law preemption. The Nevada Supreme Court explained its decision at Dynamic Transit Co. v. Trans Pac. 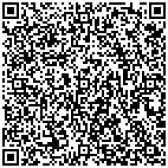 Venture, Inc., 128 Nev. Adv. Op. 69 (Dec. 27, 2012). Read that opinion HERE. The Trucking Industry Defense Association hired Mike Mills of Mills & Associates to file a brief with the Nevada Supreme Court to explain why state law preemption under Carmack is so important to the trucking industry. TIDA does not condone the actions of the motor carrier. Instead, it hopes that by explaining the principles behind the Carmack Amendment the court will reconsider its findings. In it’s brief to the court, Mike explained that when Congress passed the Carmack Amendment, 49 U.S.C. §1470, it was balancing the interests of the shippers and the motor carriers. Under Carmack, Congress gave shippers almost strict liability against the motor carrier for damage to goods in transit. 49 U.S.C. §14706(a)(1). 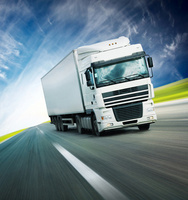 In exchange, motor carriers received the right to limit their liability for damages to no more than the actual loss. Congress also gave motor carriers a method by which cargo claims could be handled consistently and uniformly across the country. In order to realize Congress’ vision of shipper protection, a limitation of damages and consistent cargo claims handling nationwide, the courts have ruled that Congress intended that all state law cargo causes of action were preempted. In Missouri, K. & T.R. Co. of Tex. v. Harris, 234 U.S. 412, 420 (1914), the U.S. Supreme Court said that under Carmack “the special regulations and policies of particular States upon the subject of the carrier’s liability for loss or damage to interstate shipments, and the contracts of carriers with respect thereto, have been superseded.” See also Charleston & Western Carolina Railway Co. v. Varnville Furniture Co., 237 U.S. 597, 603 (1915). In its opinion, the Nevada Supreme Court cited cases that it felt allowed for a “true conversion” exemption to Carmack and to the concept of state law preemption. However, TIDA argued that the court failed to understand those cases. Read the arguments that Mills & Associates made to the court in the brief it filed, HERE. 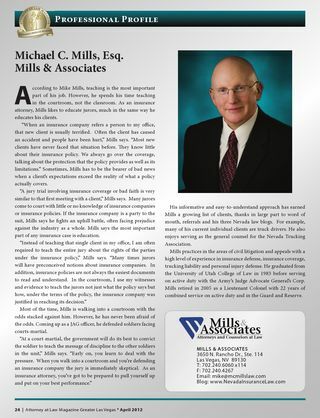 If you have trucking and transportation law questions, please contact Mike Mills at Mills & Associates and he will do his best to get you the answers you need.